The dog days of summer are upon us in Wisconsin and the temperature isn't the only thing heating up. On Tuesday, August 14th, voters will whittle down the field of candidates for Governor, for the U.S. Senate and Congress, and for many other state and local offices. The August 14th Primary Election is less than a month away. It's important to take steps now to ensure that you have a voice in who will be on the ballot for the November 6th General Election. If there is even the slightest chance you won’t make it to the polls on Tuesday, August 14th, don’t wait – see our guide to voting with an early, absentee ballot – in person or by mail, and then VOTE. The deadline for voters to request a mailed absentee ballot is Thursday, August 9th. All absentee ballots must be returned to the municipal clerk’s office by 8 p.m. on Tuesday, August 14th. The last day for in-person absentee voting is Saturday, August 11th, but many cities end early voting on Friday, August 10th. Online. 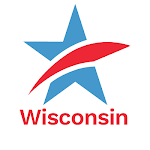 Eligible voters in Wisconsin who have a valid Wisconsin drivers license or a Wisconsin DMV-issued ID can now register online at MyVote.WI.gov up to 20 days before the election in which they are planning to vote. 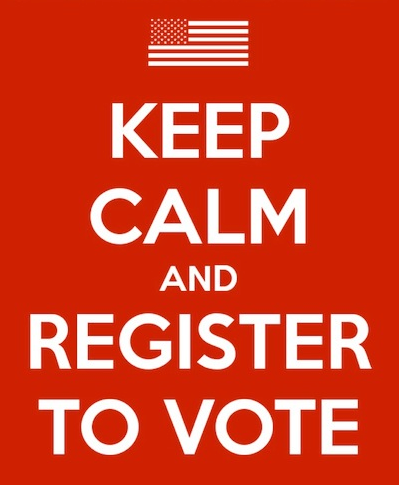 For the August 14th primary, the last day to register online is Wednesday, July 25th. By Mail. You can start your voter registration form online at MyVote.WI.gov – then print, sign and mail it to your municipal clerk along with a Proof Of Residence (POR) document. Your form and POR must be postmarked no later than 20 days before the election in which you are planning to vote. Again, for the August 14th primary, that date is Wednesday, July 25th. In your Municipal Clerk’s Office. 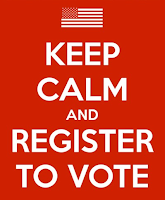 You can register in-person in your municipal clerk’s office up until the 5pm (or close of business) on the Friday before the election in which you are planning to vote. For the August primary, that date is Friday, August 10th. You'll need to bring a proof of residence document to complete your registration (this document can be shown electronically). At the Polls on Election Day. If you're unable to register by any of the methods above, you can still register at your polling place on Election Day. You will need to present a proof of residence document when registering (again, this document can be shown electronically). If your driver’s license or state ID card has your current address, that’s all you need. Make sure you vote. Your participation is vital to a healthy democracy!